In September of 2018, Justin Bieber and Hailey Baldwin got married and managed to keep it a secret for nearly an entire month. 24-year-old Bieber, who is worth $250 million, married the daughter of Stephen Baldwin at a New York courthouse on September 13, miraculously avoided too much press attention. Reportedly the young couple did not sign a prenuptial agreement before tying the knot. Justin and Hailey’s relationship has seemed like a whirlwind romance, but we wish this young and romantic couple all the best. 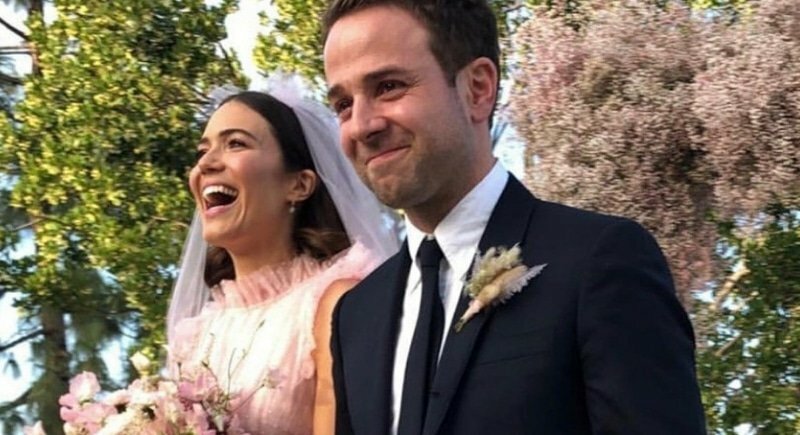 After a full day of speculation, Mandy Moore revealed that she has in fact married partner Taylor Goldsmith in a beautiful autumn ceremony. The internet went into a spin after one of Mandy’s guests posted – and then deleted – several photos from the wedding day onto Instagram. The gown, which featured a load of gorgeous tulle layers, and subtle polka dots in a shimmering metallic, was custom-made for Mandy by US designer Rodarte. The This Is Us star 34, and the musician, 33, grinned broadly together after saying ‘I do’ in a new photograph that Mandy posted on Instagram at the beginning of the week.